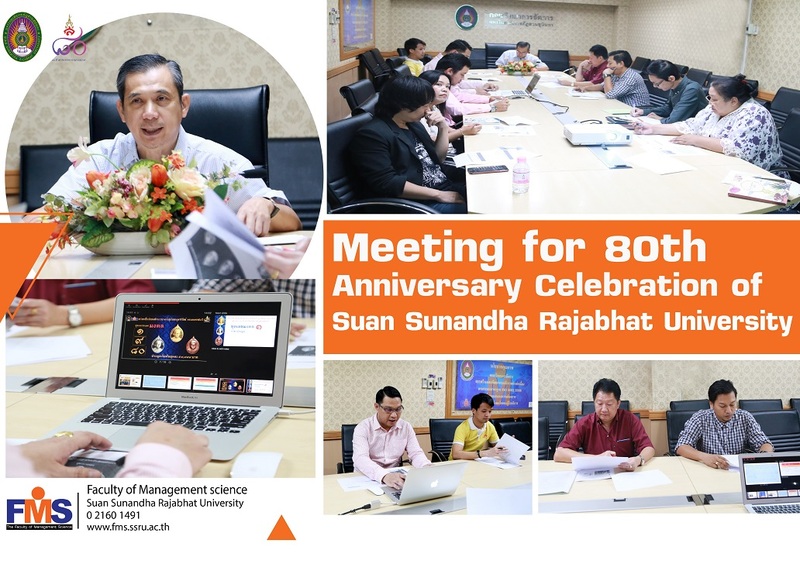 On 5th October, 2018, Assistant Professor Dr. Prateep Wajeetongratana, Dean of Faculty of Management Science served as a chair of Sacred Object Production Committee Meeting for 80th Anniversary Celebration of Suan Sunandha Rajabhat University. The meeting was held at Ruamjai Karnjatkarn 1 Meeting Room, Faculty of Management Science. The committee members discussed on the preparation on auspicious coin set auction, public relations by using various media, and setting of the auction date. The auction will be held after Queen Sunandha Kumariratana worship on 10th November, 2018, at 7.00 am. at Queen Sunandha Kumariratana Memorial in Suan Sunandha Rajabhat University.